This landmark book incorporates Dr. Weil's theories of preventive health maintenance and alternative healing into one extremely useful and readable reference, featuring general diet and nutrition information. 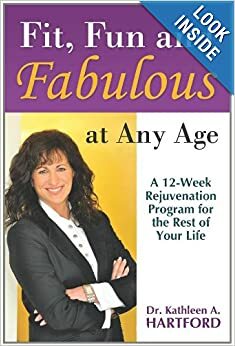 You now hold in your hands the key to becoming Fit, Fun and Fabulous at Any Age. Get instant access to 43 different workout websites filled with 100% real-world tested workouts. The largest and most respected online resource for eco-friendly products that are non-toxic and guaranteed to be safe for your children, home, and environment. The unique journey of 6 people who found great health. Be inspired to find your own path. An easy read and reference guide as well. Advanced Pulsed Magnetics and Natural Light combined to deliver a natural health improvement system. Get relief for pain, allergies, dermatology issues, boost resistance to illness and more. Try it today risk free. Your one stop shopping for all your natural healing products and information. Interactive web store includes books, videos, supplements, free articles and recipes. A (Delicious!) Path to Higher Consciousness. Award winning, Best-selling. The preeminent eco-spiritual nutrition guide. Wise, comprehensive and engagingly written. If you could have only one health and wellness book, this is it. An A-Z Guide to Renewing and Reclaiming Your Life. The breakthrough book that will teach you how to release the power within yourself to draw anything you desire into your life.